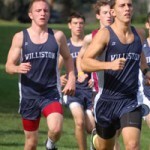 EASTHAMPTON, MA February 12, 2016 – The Williston Northampton School announced today that its football team will compete next fall in the NEPSAC Division A Erickson League, and will be led by a new head coach. The Erickson League, one of the premier stages for New England preparatory school football, consists of Avon Old Farms, Hotchkiss, Taft, Trinity Pawling, Brunswick, Salisbury, and Kent. Williston had played in the Division B Colonial League from 2004 until the league disbanded in 2014. “Choosing to join the Erickson League was seizing an opportunity to provide stability for our schedule while aligning ourselves with schools that share our commitment to both football and independent school education,” explained Williston Director of Athletics Mark Conroy. In addition, Mr. Conroy, the school’s head football coach for the past 16 years, will be stepping down from that position next fall. Under his leadership, the Wildcats posted a 84-47 record, and earned three prep bowl appearances, most recently in 2014, when the team lost 35-34 to Lawrence Academy. Mr. Conroy will continue in his role as the school’s Director of Athletics. 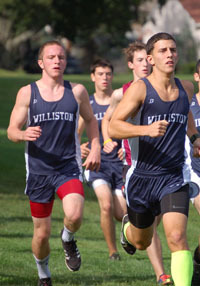 The Williston Northampton School is a coeducational boarding and day school for students in seventh grade through post-graduate year. The 125-acre campus offers a challenging learning environment with a rich academic curriculum, leadership opportunities, and a full range of extra-curricular activities in the arts and athletics. Located in the heart of the Pioneer Valley, the school is within a 15-mile radius of Amherst, Smith, Mount Holyoke, and Hampshire Colleges, and the University of Massachusetts. Williston’s community of over 500 students provides a diverse and culturally rich educational experience for students. No doubt they will. Colleen and her husband, Bill, will have to travel only as far as Durham, NH, for their daughter’s home games at the University of New Hampshire next fall. Caroline signed a national letter of intent to play for the Division 1 school in a ceremony Wednesday in the Dodge Room of the Reed Campus Center. As a bonus, her parents can still say their daughter is a Wildcat. 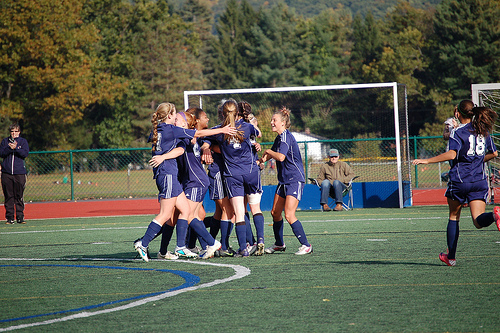 Indeed, Ms. Wysocki broke the Williston school record for most goals per game in a season, netting 15 in 16 games. That season total is also the second highest in school history. 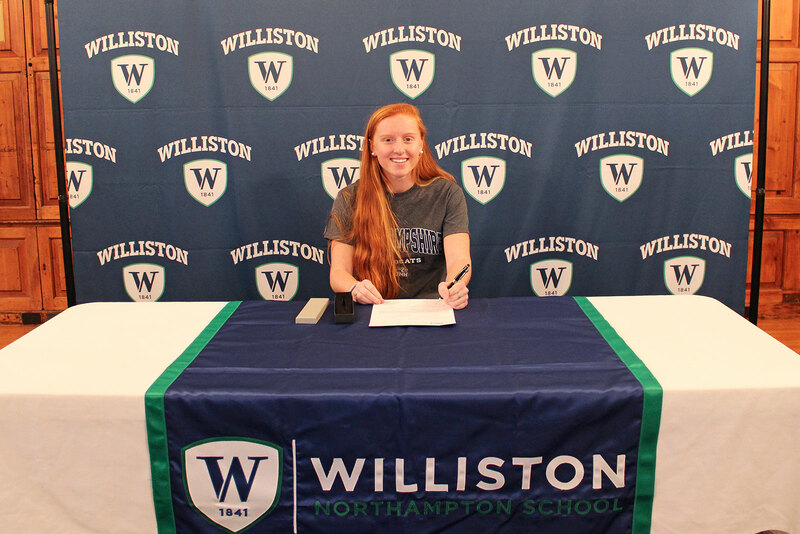 One teammate she will miss is Emily MacDonald, who also signed a letter of intent Wednesday with Assumption College. The two have been playing together since they were 9 years old and together formed the core of a Wildcat team that will be hard to replace, says their coach. 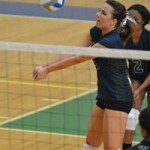 Caroline will be joining a UNH team coached by Steve Welham, who took over the program in 2014. Colleen said her daughter connected with Mr. Welham from their first meeting. “He was so enthusiastic about taking over the program, his vision going forward, and that was definitely another draw,” she says. 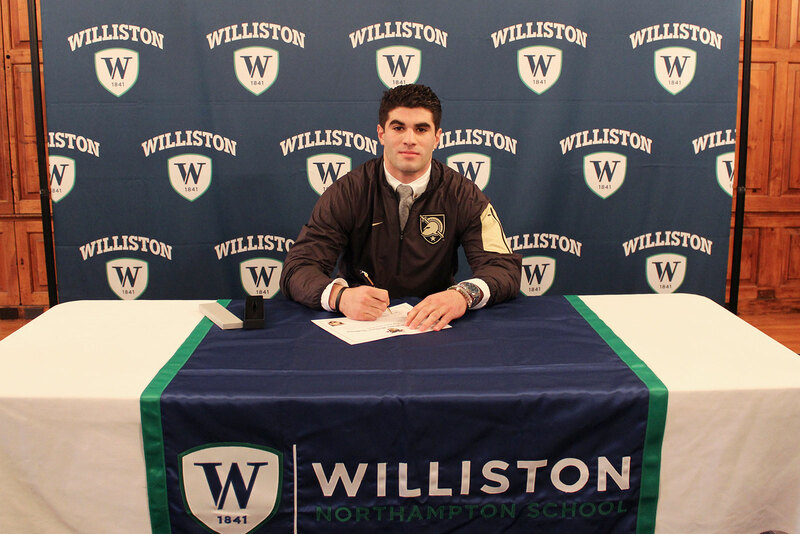 Nick Garofano was originally recruited by Williston to play hockey. As a football running back, however, he eventually would rush for more yards and score more points than any player in school history. 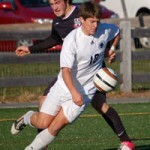 So what Division 1 sport will the Yorktown Heights, NY, senior be playing next year at the U.S. Military Academy? 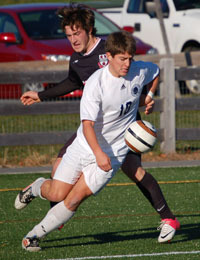 As for Nick, he had 5 goals and 3 assists. 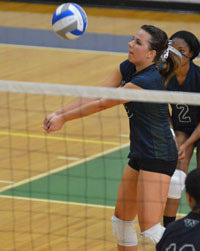 On December 4, Athletic Director Mark Conroy announced the fall season athletic awards at a special Wednesday assembly. In his recognition of the 10 programs, Mr. Conroy shared highlights and recognized the award winners, which were announced during banquet nights in the week before Thanksgiving. Below are details for each team, including the award winners. Led by Coaches Greg Tuleja, Michelle Lawson, and Jane Lucia, Williston girls cross country had a terrific season and finished with a record of 10-2. As usual, the team enjoyed wonderful team spirit as 34 girls participated. 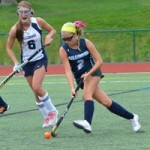 According to Coach Tuleja, highlights included closely contested wins over Division 1 opponents NMH and Miss Porters, and a great late season race at Suffield in which the team defeated four out of its five opponents. This was only the second time in history that the team achieved double figures in victories with its 10 wins. Presented by Director of Athletics Mark Conroy during The Williston Northampton School’s all-school meeting on September 19, 2012. In my role as the Director of Athletics here at Williston, I wanted to take just a moment this morning to speak to you briefly about a topic that is very, very important to me and to our entire community. Those of you who know me know well know that I am incredibly proud of my association with Williston—a place that my family and I have called home for the past 13 years. We are all so fortunate to be a part of this wonderful school community. 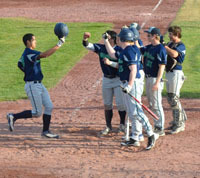 Against Millbrook on Saturday, seniors Brandon Diaz and Jay Sylvia were outstanding at the plate. Diaz went 3-3 with two home runs, four RBI, and two walks, while Sylvia went 4-5 including three home runs and seven RBI. Sylvia currently has a .350 batting average, a 1.000 slugging percentage and five home runs so far this season. Diaz, with four home runs, has a .474 batting average. Diaz and Sylvia have both hit home runs in three of the team’s seven games thus far. 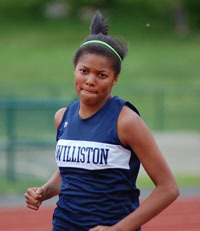 A week ago in the girls’ track team’s season opening meet against Vermont and Cheshire, Gabby set a school record in the triple jump with a leap of 35’6″ surpassing the old record by almost two feet. Last weekend, at the Deerfield Relays Gabby cleared 5’0″ which is a personal best by 4″ and is only 3” from the school record. JV Baseball standout, Jay Brennan, went 3-3 with two doubles, a single and a stolen base in last Wednesday’s match-up against Eaglebrook. In Saturday’s seventh-inning comeback win over Rectory, Jay was 2-4 with one run, one RBI, two stolen bases and a number of great defensive plays in the field. On the week Jay was 5-7 with two doubles, three stolen bases, a run and a RBI.